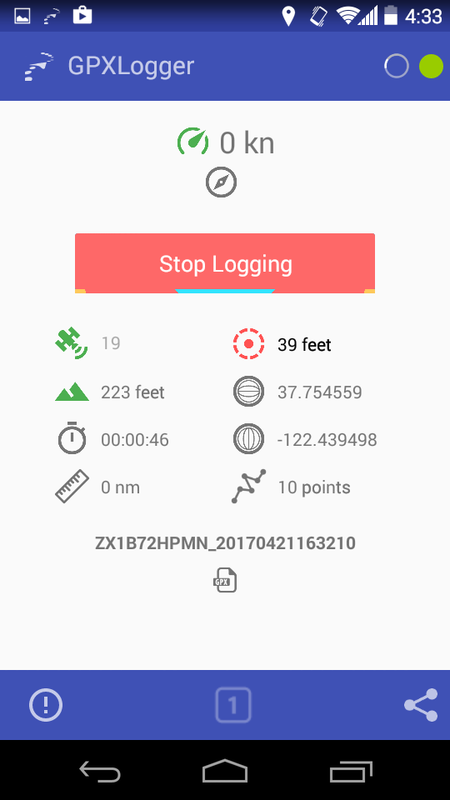 GPXLogger - a sailing specific app, for Android and iOS devices, logs GPS data to GPX files so you can track your team's performance. Add annotations and share your tracks! We love sailing. It' s a constant learning and quest to get better. You rather spend time sailing than trying to understand technology? That's why we created GPXLogger. The app logs GPX points as tracks and track segments, also speed, heading and altitude will be recorded. Using an open standard like this gives you a multitude of choices for digestion of the data you collect. Upload your tracks to sites as RaceQs.com and SailRacer.net to compare your performance with your competitors and friends. We also offer custom solutions for your Yacht Club. You can add a comment to a waypoint, such as something happening on the race course, a protest, a sighting of some sort, it's just a click away. Download and see how easy it can be! Our apps are available on most mobile devices! Download now to get started! GPXLogger uses the GPS capabilities of your phone to log coordinates to GPX format files at regular intervals. The purpose of this application is to be battery efficient and as easy to use as possible. To start or stop the logging of data just do a long press on the start/stop button. As soon as the the GPS gets a fix and the accuracy is better than 36 feet (12m) the logging will start. At that time the green indicator will stay on and the spinner will indicate every time the GPS is trying to get a fix. Tap any of the icons to see it's explanation. The log-file name will also display on the dashboard. The first part of the filname is your unique device id and the second part is a time stamp showing when the logging was started. If you do not want to start logging your race yet but want to get a fix or just log a single point - tap the  button. Wait for the GPS to get a fix and a single point will be recorded and shown on the dashboard. The point will be recoreded in separate file. Naturally this function is disabled if the logging is already started. To add a waypoint with comment to to the ongoing log, such as something happening on the race course, a protest, a sighting of some sort, click the (!). You then get the opportunity to enter a short remark, that will show as a waypoint in any GPX file-viewer. You can share your recorded tracks in several ways. We have tried to keep this simple and the app will use what ever other apps you have installed on your device, such as email, cloud drives, and more. You can for example upload your tracks to sites as RaceQs.com and SailRacer.net to compare your performance with your competitors and friends. We also offer custom solutions for your Yacht Club. The GPXLogger application is logging GPS data with 1-2 second intervals and this is fixed so nothing you can do there. This in it self is not very battery efficient but our tests show that the app can easily run 4-5 hours without running too low on battery. Settings you can try, to make the battery last longer, are: turn wifi off, turn mobile data off, turn background synchronization off, turn bluetooth off. You can also try going into airplane mode which turns many things off. 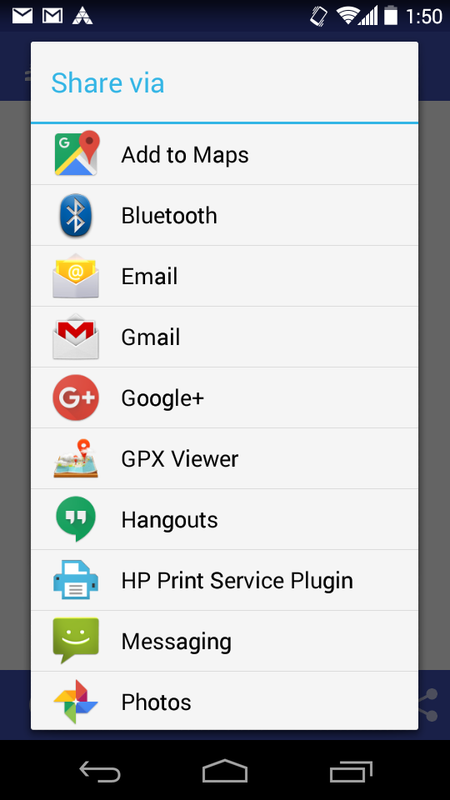 The Android version of GPXLogger is based on the "GPSLogger for Android" app by Mendhak. It's a stripped down version of that application and adapted for sail racing. If you are looking for a GPS tracking app that goes beyond GPXLogger in functionality, or if you want to add some very specific feature, not related to sailing, then you should take a look at GPSLogger for Android. © 2017 HYPEIT INC. All Rights Reserved.